For many years, North Boston was separated from downtown by an elevated freeway, called the Central Artery. The Central Artery was built in two sections, north and south. Once the northern section went up (between 1951 and 1954), it was so reviled by Bostonians that the southern section was built in a tunnel. Eventually, the northern section was buried as well, in the project known as the Big Dig. 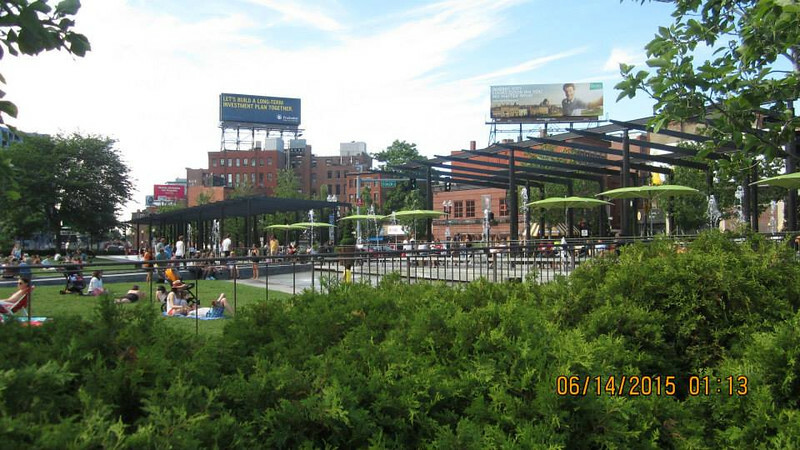 Once the elevated structure came down, the land was turned into a park, part of which you see here.